Meet Jerry Eisterhold, founder and proprietor of TerraVox. TerraVox, meaning “voice of the land,” is a vineyard in Kansas City that grows American Heritage grapes, many of which are native to Missouri, using Missouri’s rich ecological resources to produce high quality, award-winning wine. 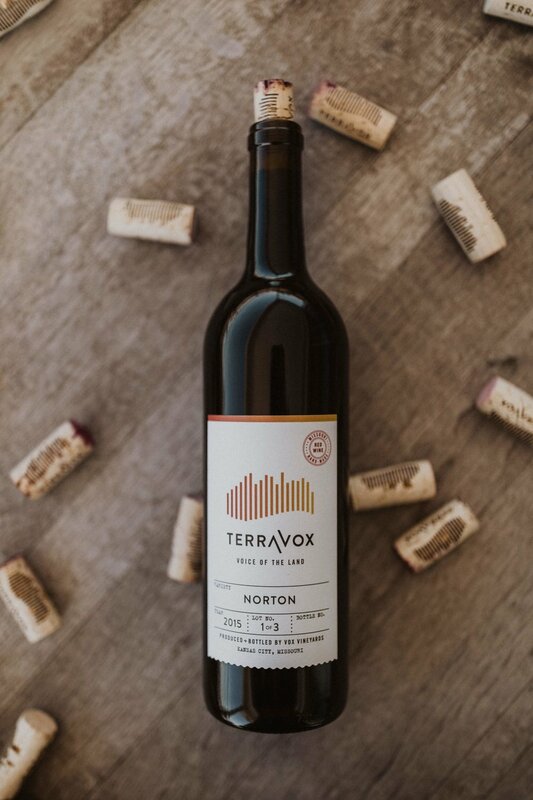 TerraVox released its first bottles of wine to the public in 2012, after decades of research, experimentation, and growth. TerraVox continues to bring about a revival in the winemaking culture of Kansas City and the larger Missouri region. What is your background? How did you get started on your journey to become a winemaker? I grew up in mid-Missouri, on the Gasconade River (upstream from Hermann by a couple of counties). This part of the country was once the Silicon Valley of viticulture, but all of that went away when Prohibition came into effect. 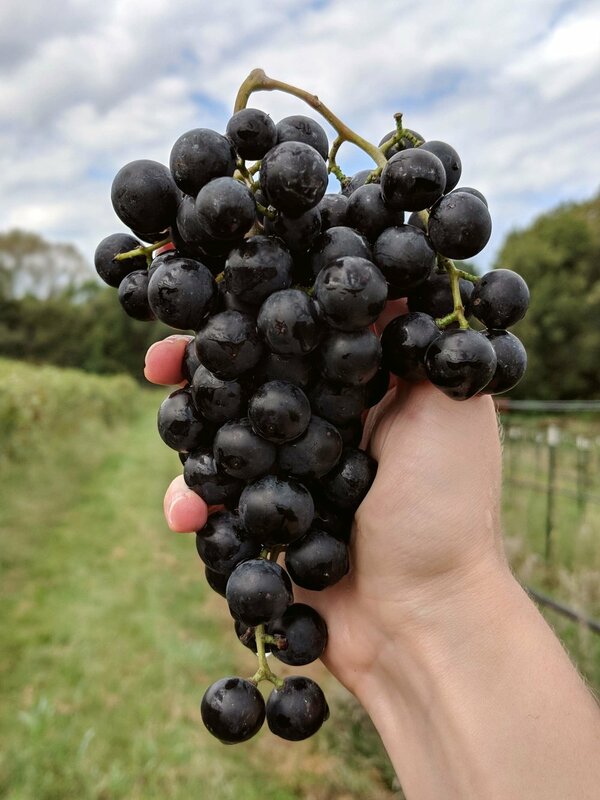 Nonetheless, winemaking was almost mandatory, in our case, with fruits like blackberries and plums, and wild grapevines that had a distinctly different flavor than the Concord/Labrusca grapes had. So that began an exploration of different grapes, first back home, then in Kansas City (and in some borrowed plots of land in Kansas and down in Peculiar, Missouri). They later told me I needed to find some better land, with more sun and less trees (and their vermin inhabitants), where I could devote more time to their tending. What made you choose the land here in Kansas City for creating a vineyard? While an Agronomy student at MU, I worked in the soil survey lab, running analysis of soil samples from around the state. So I had a beginner’s understanding of soil types and their distribution. When it came time to look for a site, I knew that I wanted the mineral-rich, organic-matter-poor, well-drained Loess somewhere along the Missouri River. At Kate’s suggestion (my wife), we rented a plane to scout for open, undeveloped land that was close enough to the city for her to sustain her commute. Which she then tested. We are about 300 feet inside her tolerance limit. What is special about the American heritage grapes? How many varieties of grapes are grown at TerraVox? They are unusual, and have no established typicity—which is the whole point of the iteration that we are doing with them. We started with about 60 varietals, we are down to around 40 now, with a goal to select about 20 of the best for larger-batch production. Except we recently came across some 30 varietals of more-recently-created grapes that we are checking out. What features or flavors does Missouri soil and climate add to the grapes? The first thing that Missouri soil does, is support them, because this is where they are from. The process of “finding out what they are like” will take some more years—it is rather an existential question. 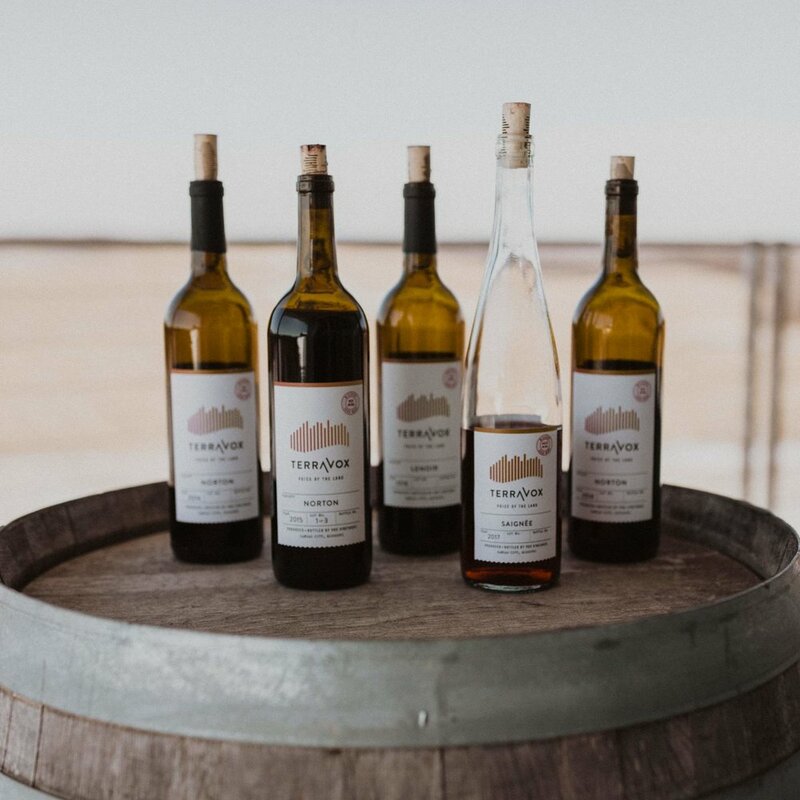 The Missouri soil and climate, the viticultural and winemaking decisions all play a part, but there are certainly unusual elements in these wines that are atypical of wines generally. Several have noted cinnamon flavors, one varietal (described even in the 1890s literature as “very unusual”) showed steak tartar notes. How do you choose which varietals to develop into wine? It is a conversation that takes a couple of years, as we hone in, amidst the seasonal variation of the grape harvest. We are developing protocols for each of the grapes, the accumulated wisdom and experience gained from trying this process one year, checking the results, adjusting, and trying something slightly new the next year. Every year, we hone in a little more. As I think on it, the process is rather like machine learning in AI, where an end goal is set (individual wines of maximal expression of a particular grape), and all the intervening tasks test and try and test, until the end is reached. 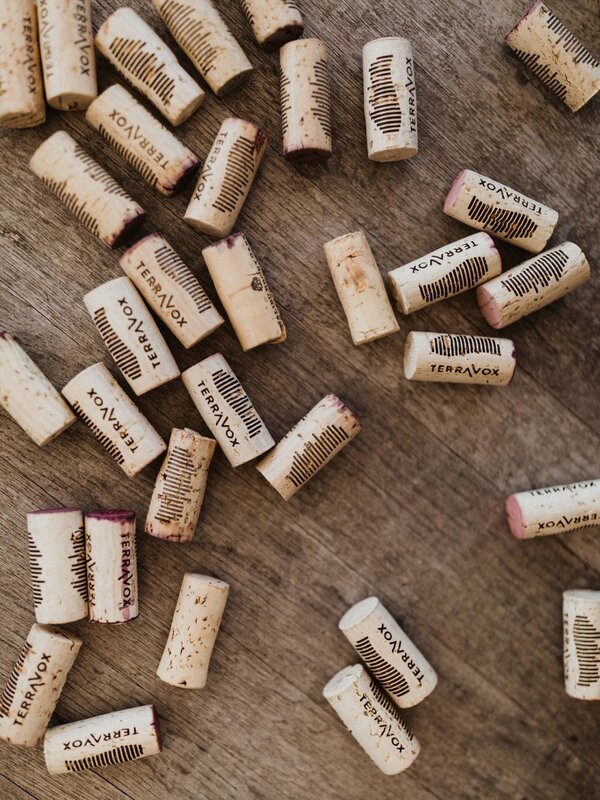 If you had to pick—what are some of your favorite wines and why? Is there one you most love for springtime? Ah, but you see…I don’t have to pick. That’s the point! Generally, though we are working to focus on a selection of them. These names won’t have any “brand recognition” other than, perhaps, Norton, but the favorites include Favorite (of course), Lenoir, Lomanto, Cloeta, Hidalgo, Wetumka, Albania, America, Carmen, and Muench. The latter two—and Norton—can yield a rather nice rosé, and would be my pick, if I had to pick. Which I don’t. What is the culture of winemaking in Kansas City and the larger Missouri region? It’s changing, and we hope to play a little bit of a part in that, to be a more exploratory, discriminating, wine-as-food audience than in years past. Or, at least, the people we see, are self-selected as such. Have you faced any challenges since founding TerraVox? What have been some of the highlights? The details can’t be printed, of course, but we are figuring out how to grow these grapes, how to make wine from them, how to develop a grape-growing culture, and to find an audience that is unafraid to try something unfamiliar. That’s a lot of variables. And that implies a lot of false steps, admitting mistakes, and taking another run at it. For me, the highlights are, finding people who “get it,” or are at least curious. As is typical with these things, there is sometimes greater awareness outside the region, than in it: we’ve presented several times at the Smithsonian and in Europe to intensely interested audiences. Tell us about the journey of a grape from harvest to glass. Very generally—and there are exceptions to almost all of these steps—white grapes are pressed, the juice fermented into wine. Red grapes are crushed, the resulting must is fermented for a time, then pressed to separate the juice from the stems and seeds, and the result continues to ferment until the sugars have been converted into alcohol. In detail—sometimes we ferment white grapes on their skins, sometimes we stop fermentation so that a wee bit of residual sugar remains. What are the roles on the Terravox team? How does everyone work together? Besides myself, there are three people who focus on the official divisions of labor—growing the grapes, making the wine, and marketing. In actuality, there is trade off and overlap—during harvest, all hands participate. During big events, all hands participate, and so on. 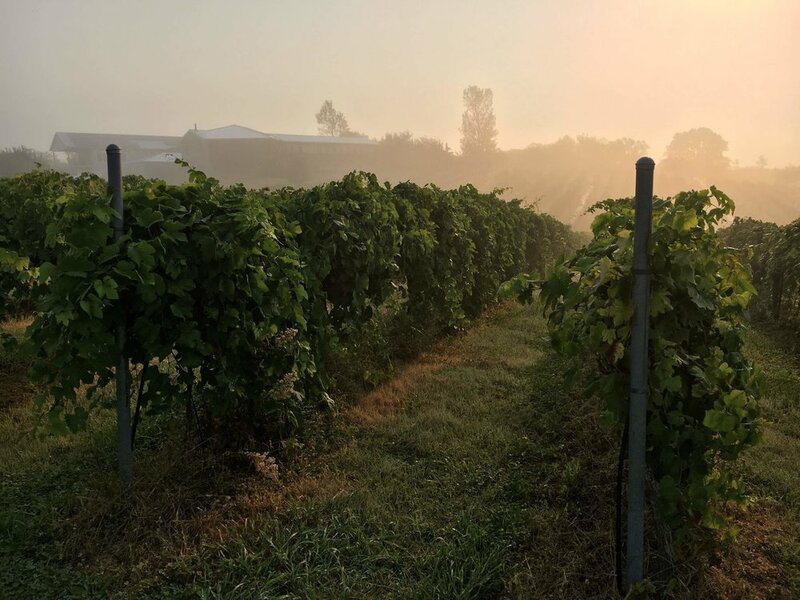 What changes do the seasons bring at the vineyard? What is the flow of work? The grape-growing and the wine-making are intertwined—the cycle for each varietal varies, some happen earlier, some later, but bud break happens around April, when the new shoots emerge from the dormant wood. While the shoots grow, flower, and fruit, we are managing the canopy, and watching for and tending to weeds, insects, and fungal threats. Veraison, when the red grapes start to turn color, is June-July-ish. We test the chemical composition of the grapes as they ripen, and harvest anytime between August and October, depending on varietal. Winemaking then takes over, and depending on protocol, some of the wines (generally the whites and lighter reds) are bottled the following spring, some in the fall, and some (such as Norton, which likes a little aging) wait a year or more before we bottle. During the winter dormant season, we prune the vines back to give them structure and make ready for the new year, when hope and a new season spring forth. Thirsty for more? Sip on our selection of Terravox wines at the Made in KC Taproom & Bar. Visit the TerraVox tasting room in Weston and check their website for a schedule of their monthly taste and tour event at the vineyard.